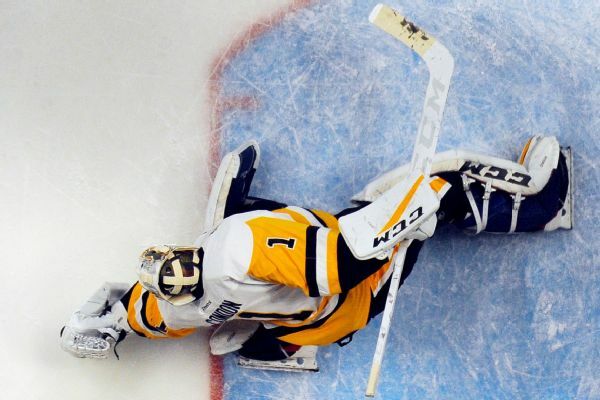 After holding the Predators scoreless in the third period Wednesday, Andrew Hammond will start Game 5 for the Avalanche. 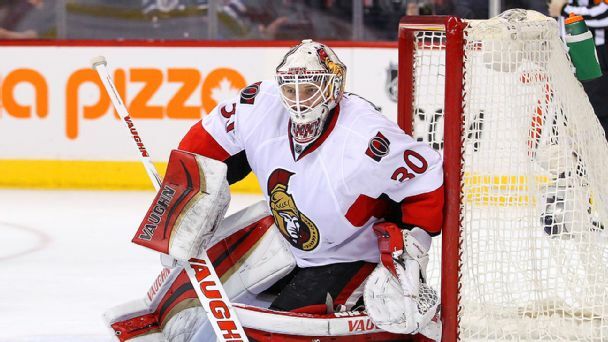 Ottawa Senators goaltender Craig Anderson has taken a leave of absence from the team as his wife battles a rare form of throat cancer. 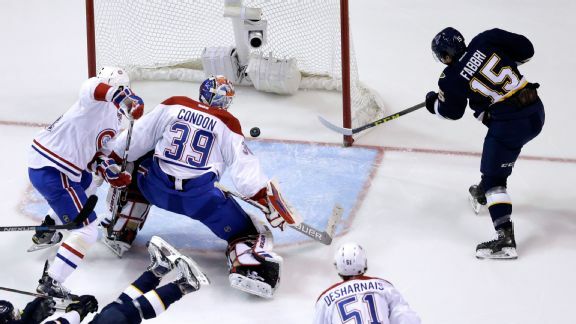 The Senators, in need of goaltending depth, acquired Mike Condon in a trade with the Penguins on Wednesday. 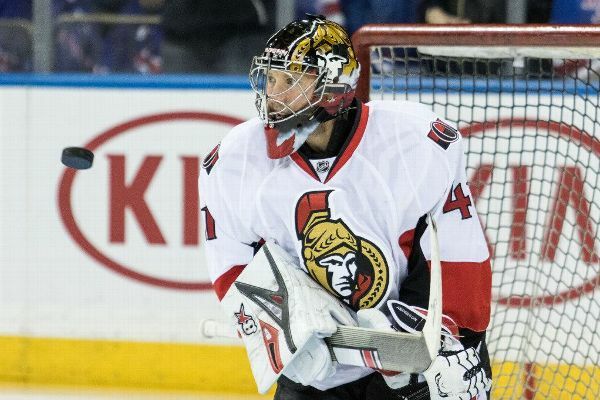 Ottawa goaltender Craig Anderson has taken a leave of absence from the Senators because of a "personal matter at home." The team's GM says he doesn't know how long Anderson will be gone. What's holding Canada's teams back? None of the 7 Canadian teams are in a playoff position. We take a look at the key stats behind their struggles. 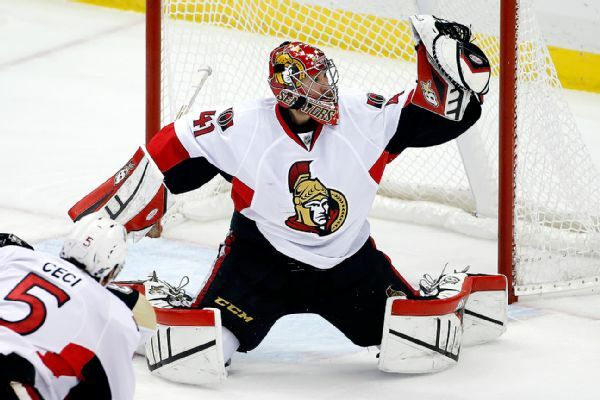 Can the Ottawa Senators carry over their storybook finish from last season? 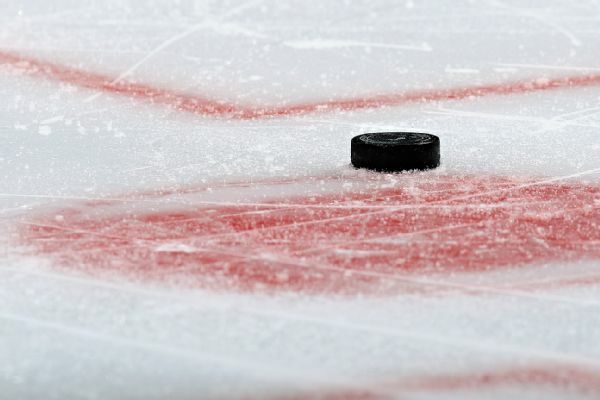 Here's what you need to know about the Senators going into the 2015-16 season. 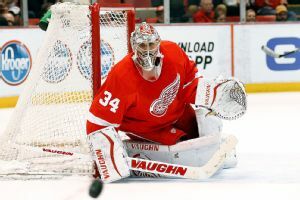 Plenty of 2015 playoff teams face questions, and goaltending issues could keep some of them from returning to the postseason fray this season. 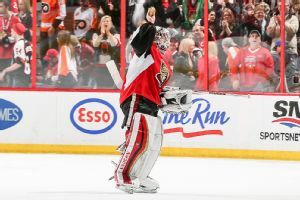 The Senators announced Tuesday morning that they have agreed to terms with goaltender Andrew Hammond on a three-year contract extension. 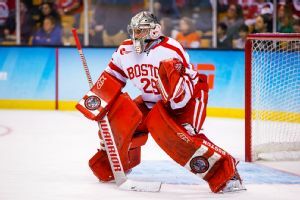 Highly touted free-agent goaltender Matt O'Connor has come to terms with the Ottawa Senators, signing a two-year deal with the maximum bonuses allowed on an entry-level contract.